Next week marks the 29th running of the ShopRite LPGA Classic Presented by Acer, held on the Bay Course of the Stockton Seaview Hotel & Golf Club in Galloway, NJ. The classic Donald Ross design has seen several LPGA Hall of Fame members take home the first prize, urged on by thousands of golf fans during the three rounds of competition. If you have any interest in improving your own golf skills, you should take the Cape May Lewes Ferry and the short ride north to Galloway Township for this great tournament. It is the closest professional golf viewing opportunity for the Cape Region. The LPGA players are not only good off the tee, but also incredibly talented with their short games, where the real scoring opportunities are to be found. Anna Nordqvist hopes to win the ShopRite LPGA Classic Presented by Acer for a third consecutive time. I attended the Media Day event for the ShopRite May 1, and had the opportunity to interview Anna Nordqvist. She won the tournament the last two times, and is back again for a potential three-peat. If she can pull it off, she would join Annika Sorenstam and Betsy King as the only other golfers to win the ShopRite three times. That’s some very good company. The talented Swede is a near-cinch to make the European team for this summer’s Solheim Cup competition. She already has an LPGA victory this season at the Bank of Hope Founders Cup in Phoenix, AZ. 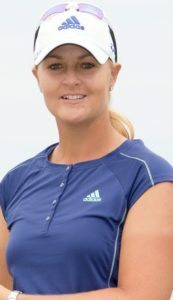 Nordqvist also recently made a hole-in-one at the Estrella Damm Mediterranean Ladies Open in late April, where she finished in a tie for second after a playoff. Nordqvist discussed last year’s rules issue at the U.S. Women’s Open, where a high-definition camera caught a few grains of sand trickle away during her backswing in a fairway bunker on the final hole. That discovery led to an unexpected penalty assessment and a second-place finish. Nordqvist did not see or feel the sand move and had no idea there had been a violation of the rules. “It was just so many things that were out of my control. I shot 67. I was proud of myself to even get into the playoff. It happened and I take full responsibility,” Nordqvist said. As many observers noted at the time, Lang made a conservative shot for the eventual victory. If she had not known about Nordqvist’s penalty strokes, however, it’s at best a guess whether Lang would have attempted the same shot, or if she would have tried to bring the ball in close for a potential birdie. The USGA and R&A recently announced a rules change that addressed this feature of high-def life, by adopting a reasonable “naked eye” standard that would have saved Nordqvist from penalty strokes if it were in place last summer. When asked about the potential three-peat at the ShopRite, Nordqvist said she never thought she would be in that position. “It never really crossed my mind. Just defending is pretty cool, because I know it’s extra attention, and I know how hard it is to win in general, so it’s just a really cool experience,” she said. Watching the tournament at Seaview is also a great experience, and it’s not at all expensive. A day pass is only $15, and a $5 parking pass gives you access to a good shuttle bus system. A few of the greens have stands, but the flat course is easy to navigate to follow your favorite player throughout her round. 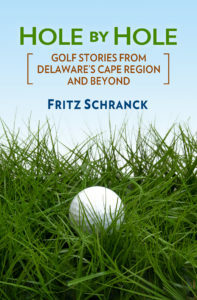 For more information, go to shopritelpgaclassic.com.